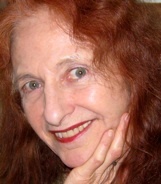 Roberta Allen (http://www.robertaallen.com) is the author of The Dreaming Girl (Ellipsis, 2011), as well as the story collection Certain People (Coffee House Press, 1996), The Traveling Woman (Vehicle Editions, 1986), and a novella-in-stories, The Daughter (Autonomedia, 1992). A native New Yorker, Allen, also known for her art and photography, left home at 20 to live in Europe and has traveled extensively over the years. Her art is in a collection at The Metropolitan Museum of Art, and over the years, she has had exhibits in both the United States and Europe. Allen’s travels have inspired her writing, and she is the author of the nonfiction book, Amazon Dream (City Lights Publishers, 1992). She has also written The Playful Way to Serious Writing (Mariner Books, 1997), Fast Fiction in Five Minutes (Story Press, 1997) and The Playful Way to Knowing Yourself: A Creative Workbook to Inspire Self-Discovery (Mariner, 2003). Allen taught creative writing at The New School from 1992 to 2010, has taught in the Writing Program at Columbia University, and currently teaches private writings workshops in New York City. Derek Alger: Congratulations, your novel, The Dreaming Girl, has come out in a new edition with a glowing introduction by Luisa Valenzuela. DA: How did The Dreaming Girl come about? RA: I was commissioned by Wildlife International Magazine to write a piece about visiting the howler monkey sanctuary in Belize. I was the first tourist. It was an amazing experience. The only visitors before me had been scientists who were accustomed to roughing it. When I saw that the villagers were building huts for tourists without windows, I stopped them. This was the first conservation project where the local Creole people, instead of being displaced, became caretakers of the monkeys whose eerie roars–if indeed one can call the cacophony of sounds they make “roars”–can be heard for a couple of miles. I wrote a number of stories that take place in Belize before I began writing The Dreaming Girl. I had a lot of material but I didn’t know what I wanted to do with it after I wrote the magazine article. So I just let it gestate for a while. When I started writing it, I knew that when I had the right rhythm I would be able to write the book, even though I wasn’t sure what the book would be. I sort of let the book write itself. I finished it in a year. My agent sent it out to one large publishing house at a time because it was “special”. Finally a small press, Painted Leaf, published it in 2000, but the press and the distributor went out of business after good reviews so I was happy when Ellipsis Press recently decided to republish it. DA: What were your impressions of Belize? RA: In Belize City, soon after I arrived, I watched an American woman get mugged across the street. A guy grabbed her handbag and ran off. Her blood curdling screams brought a couple of local men to her rescue. They chased after the thief and retrieved her bag. From the sound of her screams, I thought at first that he had slit her throat. I was warned in Belize City that there were a lot of junkies but hey, I was from New York I told the worriers. I loved Belize, especially the rain forests which were far more lush than the Amazon had been in the dry season. In Belize, there were only three main roads at the time. To get to Francis Ford Coppola in the interior, for example, you had to hire an expat to fly you in. I wasn’t visiting Francis Ford Coppola or taking any planes however. Rains had washed out the road to the Jaguar Sanctuary in the south where I wanted to go so I had to take the bus west which is what I say in the novel. I figured I would see as much of the country as I could. Everywhere were mounds of Mayan ruins which the country couldn’t afford to excavate, though I did see one extraordinary city before it was opened to the public that had just been unearthed by scientists from Stanford University. DA: You were an accomplished artist before you were a writer. RA: I am still an artist. I was drawing from the age of two, my mother said. Drawing was my survival. There was never any question about my being an artist when I grew up, though my mother wanted me to be a secretary like her or a dental hygienist like a former classmate of mine from grade school. I needed to get far away from her to become a painter, which is why I went to Europe alone at 20. I was also encouraged to travel by a famous scientist. I loved Amsterdam and had my first painting exhibition there at Galerie 845. My first paintings were surreal abstractions. Organic forms. But I quickly moved on to college, assemblage, sculpture, and finally conceptual art. DA: Painting and writing went together for you. RA: I learned how to write by describing my art which combined images and text and explored the meaning of signs. By then, I was back living in New York, though I had traveled extensively in Europe, lived also in Athens and Berlin, and then Mexico for a while. I wonder now how I was able to do all that since I never had any money. But I guess when you’re young you find a way. During the 70s and early 80s I was very active in the art world here and in Europe. I had two solo shows at P.S. 1, which is now part of MoMA, many gallery exhibitions, including four at John Weber Gallery, New York, a museum show in Munich and one later in Australia where I had a fellowship from the State Museum in Perth. I lived there for more than six months. DA: Your traveling days, resulted, appropriately enough, in your book, Traveling Woman. RA: Since I used text in my art, it was not such a big leap to start writing stories and it seems inevitable to me now that I would write about my travels which I did in my first collection of short shorts or flash fiction as it’s called now, The Traveling Woman. DA: Your book, Amazon Dream, about traveling in the Peruvian Amazon is an intriguing work. RA: I had always wanted to go to the Amazon. It was a childhood dream. I thought I would feel “free” there. My mother and grandmother kept me helpless and dependent. I didn’t know how to tie my shoes when I was 8 1/2. DA: I think I was in second grade before I could tie mine. RA: Initially, I made a trip with a very small group through Peru not long after the tourist train to Machu Picchu had been bombed by terrorists. We ended up in the Amazon and I was amazed by everything. I did feel free and more alive than I’d ever felt. And the art by the Shipibo Indians just overwhelmed me. When I was back in New York, I got to know the man who was the expert on Shipibo art and made a trip alone six months later. I lived my dream. It was a wondrous experience, though there were some scary moments. I didn’t go there to write a book but when I returned, my agent at the time said that not many women have travelled alone in the Amazon and he thought I should write about it. So I did. DA: I see we both were in writing workshops with Robert Phelps. RA: I took a writing workshop with Robert Phelps at The New School when I was just starting The Traveling Woman. He really encouraged me. It was a very positive experience. I think he was the reason I wanted to teach there later, though I never imagined I’d be teaching at The New School for eighteen years. Once I started writing and teaching, I really devoted myself to it for the next twenty years or more. In between projects, I still made art, mostly photo-based works and drawings but I was out of the art world. DA: Your story collection, Certain People, is brilliantly comprised of what might be called ultra short fiction. RA: Yes, I like that: the characters are exposed–not developed. I met some very interesting characters in Australia. The stories that take place in Australia came very fast once I was back in New York. I could hardly keep up with myself. When I knew I had the sweep of the story– as I like to call it–in a first draft, I knew I was halfway there. DA: Your book, Fast Fiction: Creating Fiction in Five Minutes, offers some very useful tips and lessons. RA: Story Press which was part of Writer’s Digest called my agent at the time (a different agent) and asked if any of his clients wanted to do a writing book. I was going to Mali to write a feature on the Dogon people for The Sophisticated Traveler of The New York Times so I dashed off a proposal just before I left. I wanted to do a book about writing short short stories but in the end I had to include a section about using my technique to write longer stories and novels. It’s true that my energy method can be used for all kinds and lengths of creative writing — especially for revisions where it’s essential to keep that excitement going, even while using both intuition and thought. I still hear from people who love that book. Early on, when I started teaching privately, I saw how my students’ work transformed when they tapped into the material that really moved them. I was shocked, in fact, when I saw how the quality of the writing soared. In some cases it was as though a completely different person was writing. My later book The Playful Way To Serious Writing expands on this method and offers a lot more visual prompts. That book and The Playful Way To Knowing Yourself were fun to do since I used a lot of my photographs and even some drawings in exercises. In my classes I often projected photographs to use as writing prompts for students. DA: Tell us how you started teaching your own workshop. RA: While I was writing stories, I missed working with my hands so I started hand painting little boxes and jewelry with realistic fruits and vegetables. At that time, a woman who came to a reading said she wanted to study with me. I told her that if she found two more students I would start a class. She did. That was 1991. I’m still holding fiction and memoir workshops in Chelsea. The next one starts Wednesday January 18. I also work 1-to-1 in person or by email and phone. DA: You’re also known for your photography. RA: I’ve always loved photography but this is the first time I ever had an exhibition of photographs that were not photo-based conceptual art. Ingrid Dinter, a dealer who had a gallery in Chelsea, liked one of the photos I posted on facebook. That’s how it started. Now I’m beginning a project that actually combines my writing and photography in a new way.